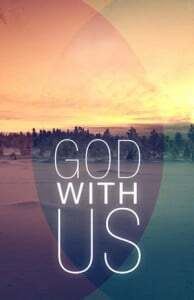 God WITH us…not far away, not unreachable. Immanuel is down here inside the mess, within His callings, experiencing it all for me, with me. Where He sends me, He goes WITH me and before me.